The Disney Princess Character Set is the ideal gift for all Princess loving girls. Which Princess do you like the most? 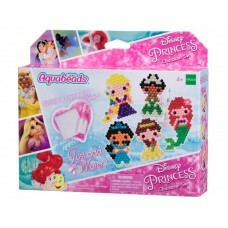 With this set you can create Ariel, Rapunzel, Belle, Tiana and Jasmine. 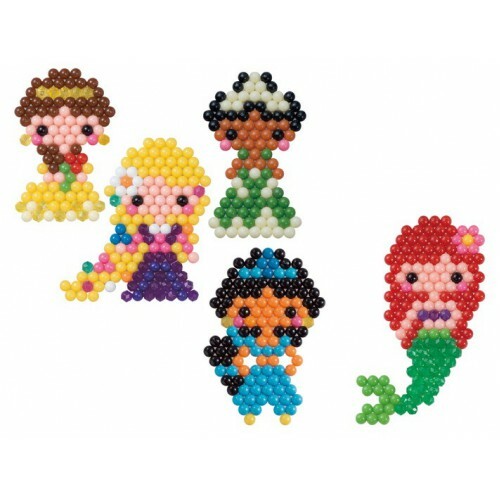 There are over 600 jewel and solid beads in 16 colours as well as a layout tray, sprayer, one double-sided template sheet and one single-sided template sheet so you can create your own magical kingdom. Just spray the creation with water and the beads stick together. No heat or iron needed.